There are structures in your home that may seem harmless, but actually pose serious risks and hazards that compromise the health and safety of your loved ones due to the presence of asbestos. Even the things found in your backyard that you don’t usually pay much attention to like sheds, garages and fences may be using asbestos material. Asbestos has been used as a versatile construction material and you may find them in structures where insulation is required. Though this may not seem to be an urgent concern for you, it is a must to keep your home and even the areas surrounding it to be safe and hazard-free. The home you purchased requires professional inspection. 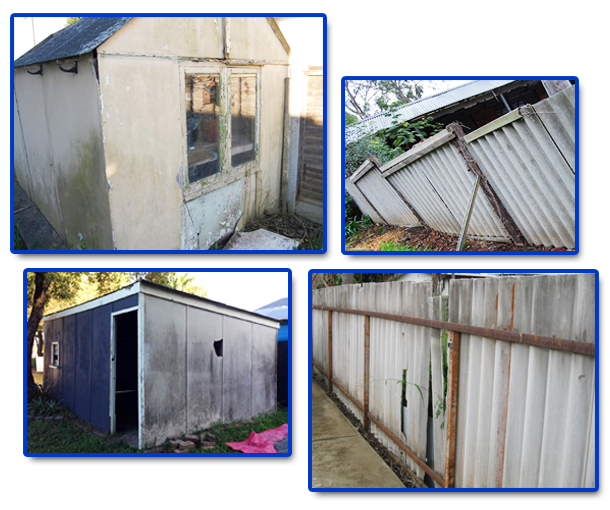 If your property has one of those small structures on it, do not hesitate to seek the help of professional asbestos disposal experts. Give us a call so we can help you with your asbestos removal needs.